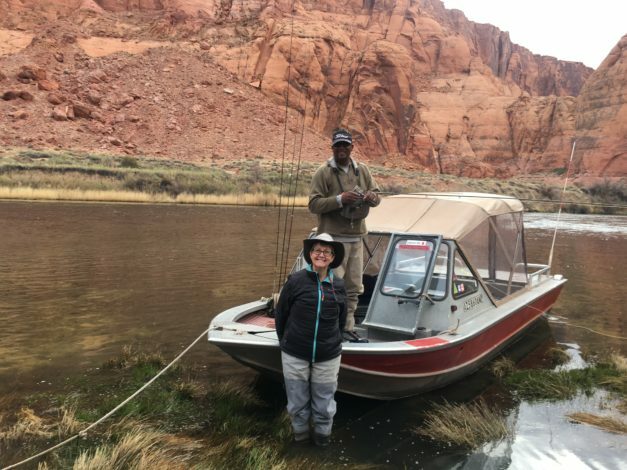 Last year, almost to the day, we fished the Lees Ferry Reach of the Colorado River with Skip Dixon and Kevin Campbell of Lees Ferry Anglers. We were joined by fishing buddies Dan McCormack, James Kelly and his son, Andy. What we discovered was one of the most strikingly amazing landscapes you can imagine…. as well as a world class fishery. At the Lees Ferry put in, we watched as anxious rafters prepared for their journey downstream through the Grand Canyon while we boarded a jet boat for our run upstream toward Glen Canyon dam. After a great day fishing, Skip and Kevin shared their perspectives on this fishery and its surroundings in Lees Ferry Fanatics. While we were in Arizona, we also took numerous photos and incorporated them into our highlight video post, AZ Memories. Our time last year was so good here, we decided to come back this spring. Skip took us out again on a beautiful day in the canyon. 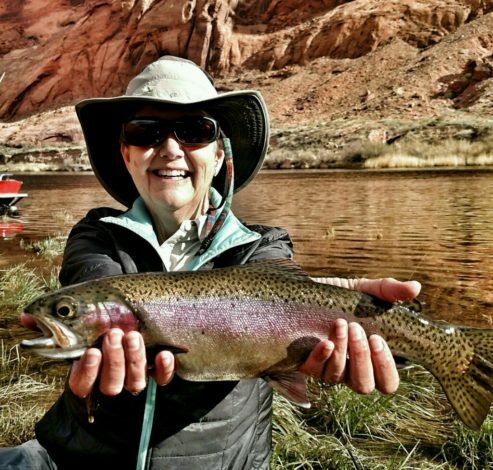 We found some gorgeous fish that Skip captured in his photos shown above in this post. I told Skip that our post on this trip was going to be about him and his photos. He has an eye for photography that captures not just the fish, but most importantly, the surroundings in this magical place. He also uses a variety of filters to further enhance the images and their meanings. His pictures are always treasured as mementos of our time with him on the water. 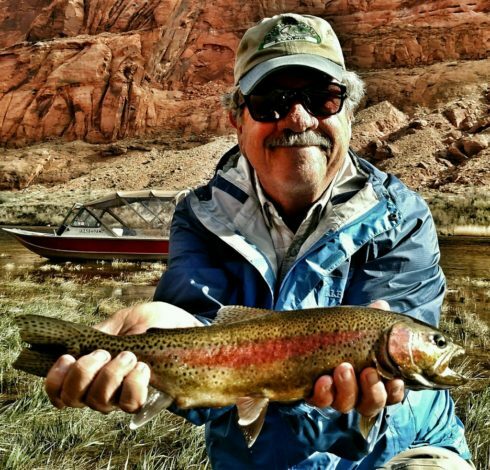 Skip avidly chronicles his time on the river, as well as providing fishing reports. 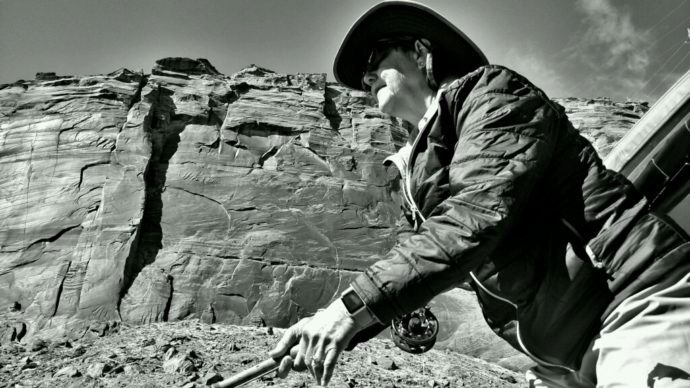 He takes a very mathematical approach to his guiding, making sure to document river flows, temperatures, hatches and fishing success among many factors. 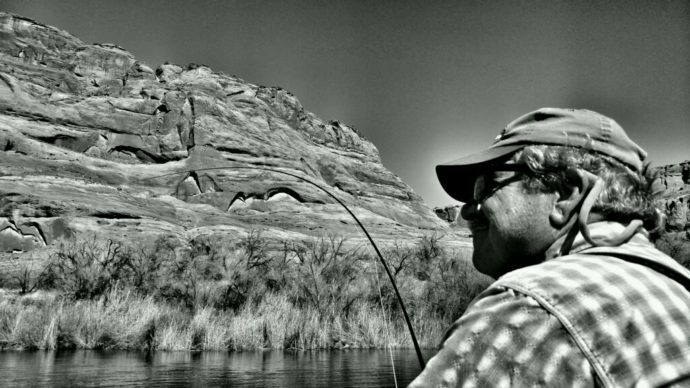 His methods help assure his clients have the best chances at success on the river. You can find his reports and chronicles on both his Instagram feed as well as on his Facebook page. When to come fish with Skip? Anytime is the right answer, but according to Skip, the summer Cicada hatch is not to be missed. He also hinted that if you want to target big browns, think about fishing in January or February. We can’t wait to get back whenever we are in the area to fish the river and experience this vividly stunning landscape.